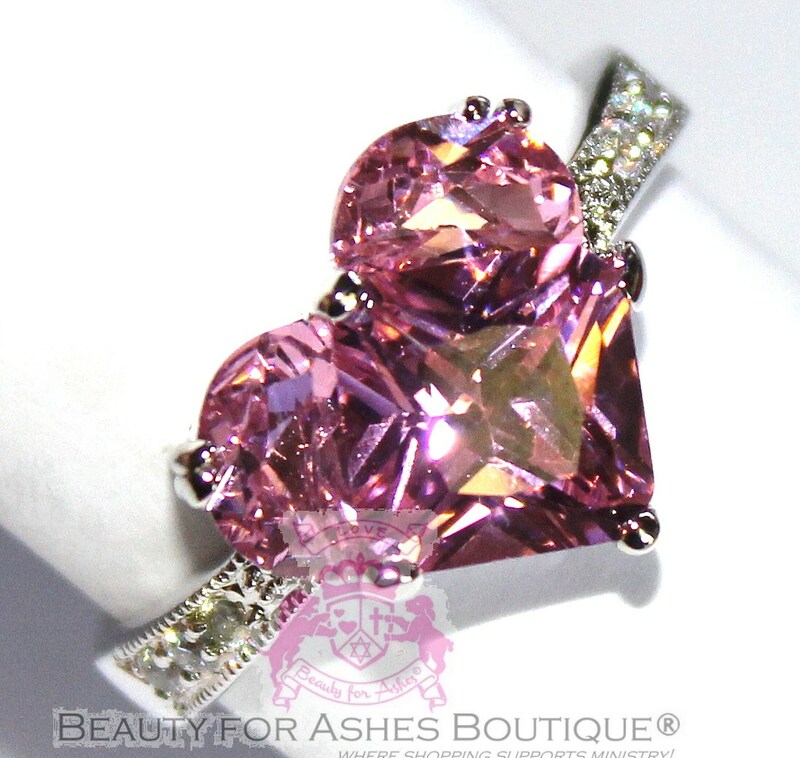 PINK CZ HEART RING - Special! This Valentine ring is made with lead free alloy and heavy layers of rhodium plating, which is a close cousin to platinum. Sides of the ring shank are packed with clear pave cz's. Pink CZ's resemble a heart, perfect for your Valentine!